Two years into sewing and quilting I feel confident enough to give a bit advice on how I do things. 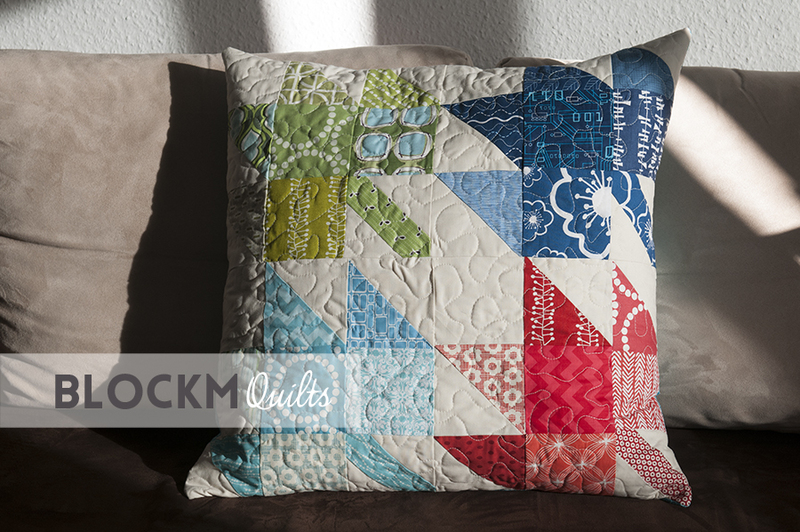 For a long time I was the one, who needed guidance and input from tutorials and other quilters (and I still do). But I have decided that I am adding a section to my blog called 'Tips & Tricks'. I don't dare to call it 'tutorials' (yet). 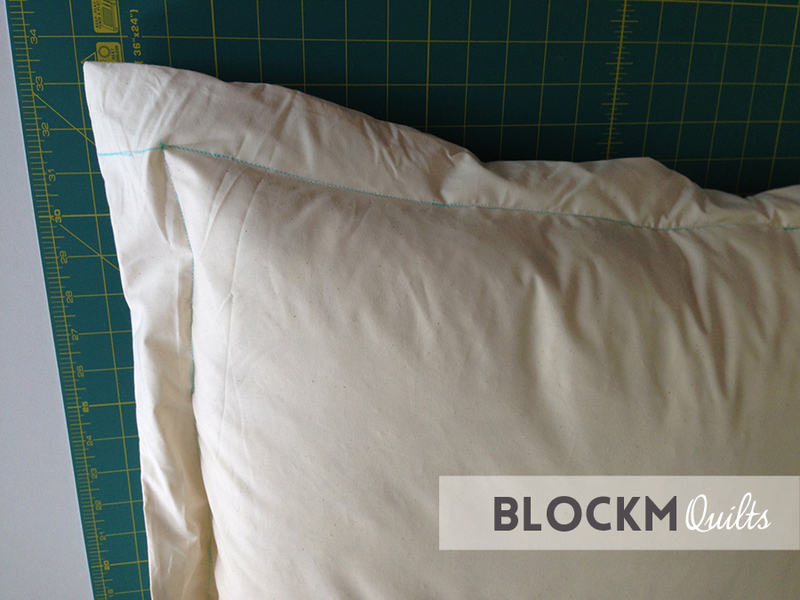 So, here's my first tip: what to do when you just finished a beautiful pillow case and your pillow is too big? I was really disappointed as I realised that fact and thought, oh no, I need to find a new pillow. I searched the internet and all I could find were pillows in the size I had already. And then it suddenly dawned on me: I can sew! I can hem the pillow... can't I? Well, mine was filled with feathers but that didn't stop me. 2. Shake the feathers away from the two edges you want the pillow hemmed. 3. Mark the pillow at e.g. 5cm/ 2.5 inches from the two edges. 4. Place pins another 1cm/ 1 inch away from the marked line (this is in order to fit it into your sewing machine). 5. 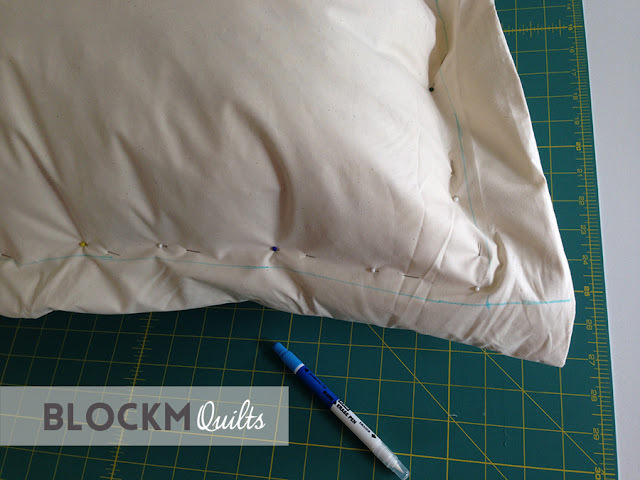 Sew along the marked lines all the way at both sides securing the stitch at the beginning and the end. 7. 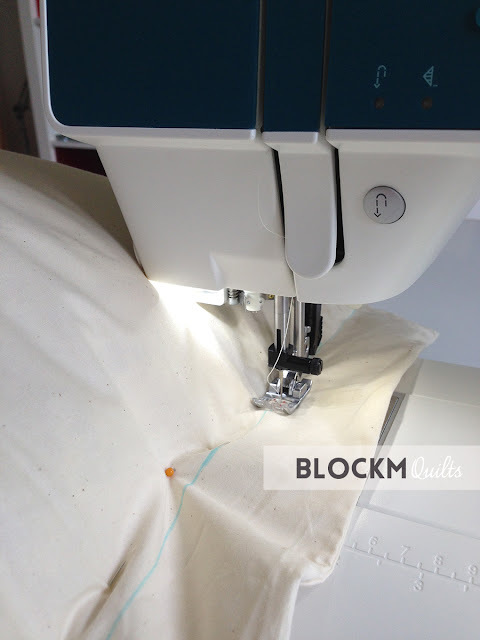 Cut the hemmed fabric with scissors at approx. 1cm/ 0.5 inches away from the marked line (Do not use your good fabric scissors, you will cut through some remaining feathers). I would also recommend doing this on the floor, and not, as I did, on your cutting mat. 8. 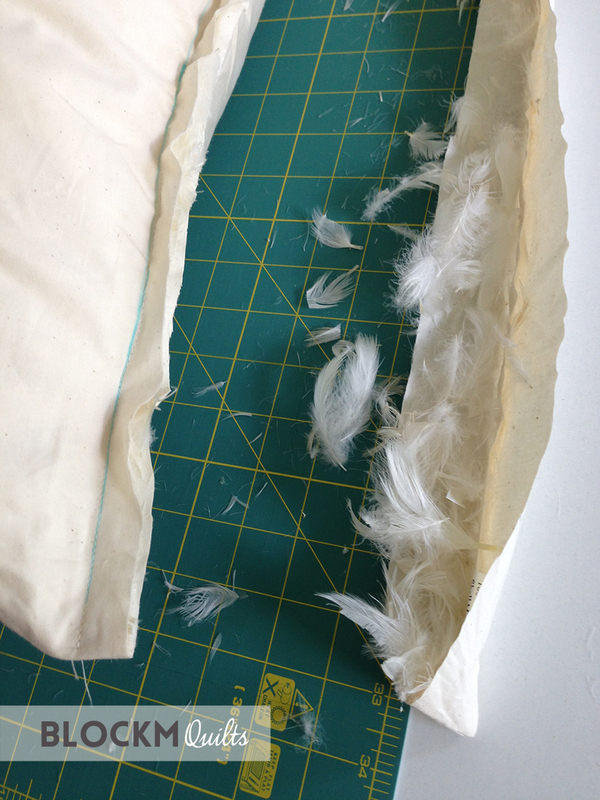 Now vacuum clean the feathers away making sure you clean out the cut fabric of the pillow. 9. Sew along the cut fabric using a cross stitch. Ta-da, finished! The reason why I left 1cm/ 0.5 inches over besides the marked line is that I thought anything smaller will feel hard when it's hemmed due to the dense stitching. That way the left over bit is soft and just folds inside the pillow case. The pillow looks quite 'stuffed' due to the same amount of feathers in a smaller pillow but this pillow was a gift to my Mum and she really likes having this pillow in her back while sitting on the couch. All good. 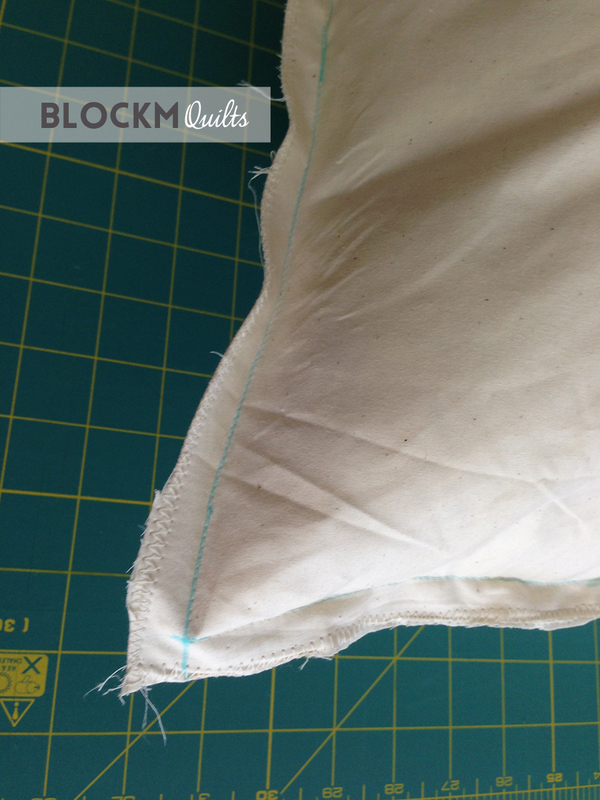 I haven't tried hemming a pillow with a polyester filling, but I guess that kind of works the same way. So, I hope you enjoyed my little trouble shooting advice. Very clever! I just might have to do that soon. Cute pillow, too! Thank you so much! I'm glad this is a little help to others! Great idea, love your patchwork maple leaves. Exactly what I thought :0) I'm really happy the instructions are clear to you, it was the first time I ever wrote down how to do things. Thanks!